The term loss payee is often used on insurance policies. A loss payee needs to be added to an insurance policy anytime you use collateral to secure a loan. Collateral, whether it is a car, motorcycle, boat, or home is required to be insured by the lender. In the lender agreement, you must agree to carry insurance on the secured property, otherwise forced placed insurance is a possibility. 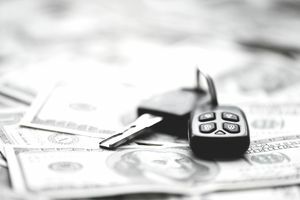 The loss payee is a section on your insurance policy that lists your lender’s name and address on the given collateral, but what does a loss payee do? The lender requires verification of insurance coverage and to be listed as loss payee. The loss payee should be added as soon as you buy insurance for the covered collateral. Verification of insurance cannot be an insurance id card; it needs to be a declarations page. The declarations page will have multiple pieces of crucial information listed for your lender. Once your lender is listed on your insurance policy as a loss payee, the lender will receive notification of your insurance policy’s status on a regular basis. The notifications will inform the lender of all activities on your insurance policy. When will your lender receive notifications? The loss payee section of your insurance policy is more than a direct link between your insurance company and lender. Since you are not the sole owner of the collateral, claim checks will be made out to both you and the lender or directly to a repair shop. In the case of a total loss, the lender will be paid first. If the amount paid out by the insurance company is less than what you owe, you will be responsible for the remainder. It is where gap insurance comes in handy. If the amount paid by the insurance company is more than what is owed, you receive the remainder. The lender being listed as loss payee ensures the lender will be compensated for their collateral, regardless of potential losses. The loss payee is essentially a safety net for the lender to reduce unpaid loans. If you do not list your lender as loss payee, it is probable the lender will put forced placed insurance on your collateral. Forced placed insurance is not a good thing for you. It costs a lot and provides little coverage. Forced placed insurance is a lender's last resort to protect itself. Get the loss payee information in place to avoid forced placed insurance. To add a loss payee properly, you need to make sure you have the right address for your lender. Lenders have multiple addresses. Possibly one address for payments, one for customer service, and one for insurance correspondence. Verify with your lender what address they want to be used for the loss payee on your insurance policy. Once you have the proper address, request your agent or customer service representative to add your lender as loss payee to the collateral. When Can I Remove a Loss Payee? A loss payee should be removed from an insurance policy once the loan has been paid off. The lender no longer has a stake in the collateral. If the loss payee is not removed, you will probably be required to show proof of the payoff if you have a claim on your insurance policy. Providing proof can be a hassle and easily prevented by calling your insurance agent or representative as soon as you pay off your loan. The loss payee is an important part of your insurance policy. Knowing the importance of the loss payee will hopefully convince you to take your lender's notices seriously. Forced placed insurance is not a path you want to go down. Add your lender as loss payee to your policy as soon as possible.